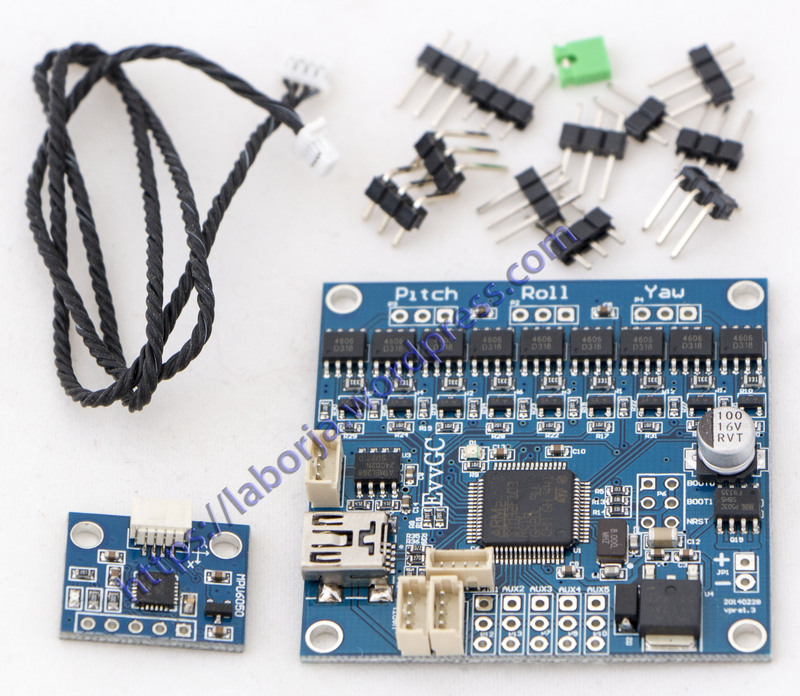 – STM32F103RC has enough processing power even for complex algorithms, and enough timers and other peripheral for 3axis control. – Controller uses mosfets instead of L6234. This allows to use small, light weight mosfets (sot23, sot363) for GoPro controllers, and bigger mosfets(SO8, D2PAK) for DSLR’s, RED’s and other big cameras.